Advocacy and Benefits Counseling (ABC) for Health is a Wisconsin-based non-profit public interest law firm dedicated to ensuring health care access for children and families, particularly those wth special needs or who are at risk. ABC for Health’s mission is to provide health care consumers with the information, advocacy tools, legal service, and expert support they need to navigate through the complex and often confusing health care financing system.Referrals from the Regional Center for CYSHCN may help you get connected to ABC for Health if you are having any health care coverage issues. ALAS – Latino Alliance Applying Solution’s mission is to promote the independence of persons with disabilities by providing information and support to them, their families, and their service providers in the areas related to but not limited to education and health. Family Voices of Wisconsin is a statewide non-profit organization focused on supporting the voice of families in decision-making, leadership and systems change roles. Family Voices provides information, training, and support around health care and community services to families and supports essential partnerships between families and professionals. Family Voices training series “Did You Know? Now You Know!” is offered statewide. 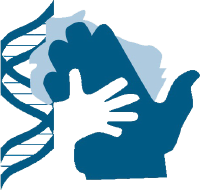 The Wisconsin Genetics Systems Integration (GSI) Hub’s purpose is to integrate genetics with public health systems in order to support individuals with genetic disorders, their families, and the professionals who work with them. Health Transition Wisconsin has resources to assist Wisconsin youth, families, and health professionals with the transition from pediatric to adult health care. Parent 2 Parent of Wisconsin provides one-to-one connections for parents new to having a child with special needs, experiencing a time of stress or simply seeking support, resources and information with another parent who has been there. Wisconsin First Step is a statewide Information and Referral (I&R) hotline that serves families with children who have special health care needs and the professionals that work with them. Wisconsin First Step has two components. It serves as the Central Directory for Wisconsin’s Birth to 3 Program which provides supports and services to the parents and caregivers of infants and toddlers with developmental disabilities. Another component is the I&R hotline where parent specialists provide supportive listening and referrals to disability related resource as close to the child’s home community as possible. Call the toll free hotline number at 1-800-642-7837 OR visit the database of disability-related resources. The Newborn Screening (NBS) Program officially screens infants born in Wisconsin for 44 disorders, hearing loss, and critical congenital heart disease (CCHD), and is compliant with the 31 disorders that are on the nationally recommended panel. The purpose of the Wisconsin Statewide Medical Home Initiative (WiSMHI) is to promote the concepts of medical home for primary care clinicians, families, and service providers throughout Wisconsin. Training, technical assistance and resources will be provided to support Medical Home implementation with a focus in the areas of early identification of developmental concerns in the primary care practice and coordination of care and services including those for youth with special health care needs. 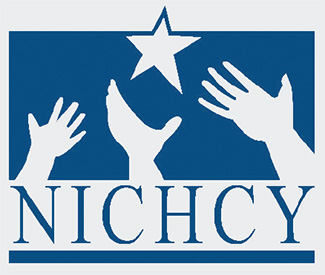 The purpose of the Wisconsin WIC CYSHCN Nourishing Special Needs Network is to improve access to nutrition services and support for infants and children with birth defects and other special health care needs in Wisconsin. Building on the existing capacity of the Women Infants and Children (WIC) Program, this Network is facilitating the recrui tment and training of a Children and Youth with Special Health Care Needs (CYSHCN) WIC Nutrition Consultant(s) in each Division of Public Health Region. American Academy of Pediatrics, Wisconsin Chapter – Patient At Risk Program is a free, web-accessible database for Emergency Information Forms (EIFs) for patients and families across Wisconsin. Patient at Risk gives emergency medical providers fast access to information about your child’s health. The Children’s Health Alliance of Wisconsin raises awareness, mobilizes leaders, impacts public health, and implements programs proven to work. 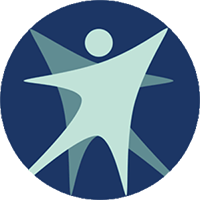 National Dissemination Center for Children with Disabilities provides free, current information on disability topics, specific conditions, statistics on incidence, educational implications, and legal rights of children in the community. Information and referral is available for parents regarding direct services for children, advocacy, and support groups. RaiseGreatKids.org has pulled together great resources – experts, advice, tips, and ideas from others about the issues that matter most to you as you and your child move through these early years. 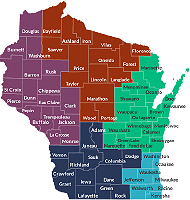 The Wisconsin Department of Health Services administers a wide range of services to clients in the community and at state institutions, regulates certain care providers, and supervises and consults with local public and voluntary agencies. 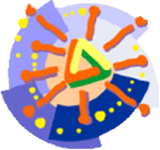 Wisconsin Early Childhood – Collaborating Partners include the Departments of Children and Families, Public Instruction, and Health Services and related early childhood organizations and agencies. Wisconsin FACETS is a nonprofit organization serving Wisconsin children and adults with disabilities, their families and those who support them. 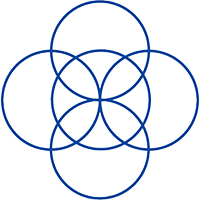 FACETS was founded in 1995 by parents who believed that parents are the best advocates for their children. 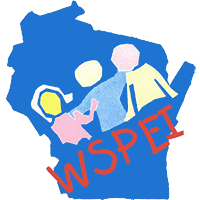 Wisconsin Statewide Parent Educator Initiative is a service for parents, educators, and others interested in parent-educator partnerships for children with disabilities.